Finding available 800 vanity numbers is hard. We can help! Since the 1960s, 1-800 vanity numbers have become ubiquitous marketing tools for both big companies and small businesses. But today, for most small business owners and marketers, trying to find a good vanity 800 number can be a difficult task. One of the reasons is availability. Since 800 numbers were first released in more than 40 years ago, almost all of them have been snapped up by existing businesses and in some cases scooped up by companies that want to collect misdialed calls for marketing purposes. The good news is the FCC has stepped in and required that all available toll free numbers be housed in a centralized database where authorized phone company RespOrgs (like UniTel Voice) can provide customers with the ability to instantly search that database and find available 800 vanity numbers. 1. Vanity toll free numbers come in many area codes. True 800 numbers are hard to come by. At least one that spells the word or phrase you want for your branded phone number. So here’s a tip that even Fortune 100 companies use when they are looking for a good marketing number: If you can’t find a vanity number with the area code 800, you should look to other available toll free area codes. 2. Not every company that sells vanity phone numbers operates the same way. Phone companies like UniTel Voice sell vanity 800 numbers to small businesses outright. This means that once you buy an 800 number or custom vanity number of any kind, you own that number – no strings attached. If you decide to cancel your toll free service with UniTel Voice you can port your number to another phone company of your choice. You own the number so you can take it with you. However, other toll free number service providers operate differently. They do not relinquish control of their numbers but instead temporarily rent them to companies to use for marketing purposes. 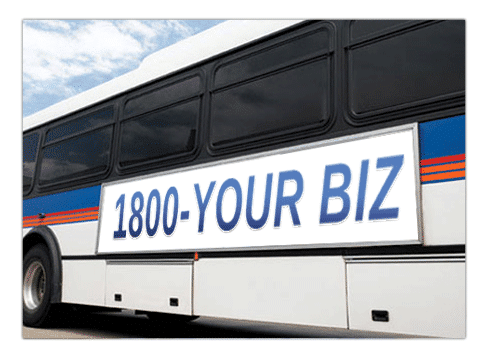 In fact, some of the best 800 vanity phone numbers are owned by marketing agencies that lease or rent them to businesses for advertising campaigns. For example, a phone company might own the numbers 1-800-DENTIST, 1-800-DOCTORS, and 1-800-PLUMBER and lease them to different businesses across North America. Because toll free numbers can be geographically routed, both a plumbing business in Chicago and a plumbing business in Las Vegas can lease the 1-800 vanity number: 1-800-PLUMBER. When customers who live in Chicago call the number they are geographically routed to the plumbing business based in Chicago. When customers who live in Vegas call the number, they get the Las Vegas-based plumber. The upside to renting is it makes it easy for businesses to find a great 1-800 vanity number. The downside is that it’s expensive to rent a vanity phone number. You don’t own the number, the phone company does and they could raise your rental rate or drop you for a higher bidder at any time. In other words, once you stop paying for the number, you lose the number, and it can be rented to your competitor. And all the advertising investment you put into the number, and all your customers who have that number, are now lost to your competition. 3. Finding a great toll free vanity number doesn’t have to be expensive. There have been phone numbers sold on eBay for hundreds of thousands of dollars. The value of vanity number like 1-800-FLOWERS is in the millions. When Comcast launched the rebrand Xfinity, they could pay top dollar for the number 1-800-XFINITY. But there’s two takeaways small business owners should know before they conduct a time and money intensive vanity 800 number search: One, Tracking down an 800 number already in use is a futile enterprise, and two, you can get a great toll free vanity number without the cost or headache if you think outside the box. It’s almost always a futile enterprise to try and track down 800 vanity numbers that are not available in the FCC’s national database of spare 1-800 numbers. The way it’s supposed to work is if a toll free phone number is not in use it returns to the spare pool of numbers so other businesses can use it. Unfortunately, that is not always what happens. In many cases, the number is held hostage, either with the intent to sell it or more often than not, by accident. For example if you think up a great vanity number and google it, you might find the business who owns but nine times out of ten you won’t. And if you call the number it might be answered but nine times out of ten it won’t. And even if it does get answered the person, answering the call doesn’t have the authority to discuss selling the number, nor to do they have any personal incentive for entertaining your proposal. What happens most often is you call a number and it sounds disconnected, but technically it has not been returned to the spare pool, because technically, it is still in use with the company who originally bought it. If you dig deeper you may be able to find out what phone company RespOrg (a telecom term for the “Responsible Organization” carrying the number) is hosting the toll free number. But unfortunately, if you contact that phone company they can’t help you because they cannot give out their customer’s contact information. It’s like trying to find a website domain name but even harder. The good news is if you’re willing to think outside the 800 box there are a lot of great vanity numbers available – and not just for rent. Here at UniTel Voice, we have access to every available vanity toll free number that’s not currently in use with other companies. You can instantly search for numbers on our signup page ready for instant purchase. If the number you are looking for isn’t available our vanity number search tool will generate a batch of closes related phone numbers that are available. And the best part is, vanity numbers are just a $15 one-time fee and then you own the number and can use it on our service or transfer it to the provider of your choice. 4. The key to finding and buying a good vanity telephone number is creating a list. Before you even try and find 800 numbers for sale, you need to make a list. Make a list of all the keywords and phrases you can think of that relate to your business’s brand, value, and industry. For example, if your business is called “Jackson Plumbing” an obvious brand term would “JACKSON”, an obvious value word would be “QUICKFIX” or “EASYFIX”, and an obvious industry word would be “PLUMBING” or “PLUMBER. Once you’ve come up with that list, next try adding action and descriptive words to the terms you’ve come up with. It’s okay if the word is longer than seven characters. Vanity numbers don’t have to be limited to seven digits. 5. Finding a good 800 vanity number is only half the battle. Once you find a good number that’s easy to remember and relates to your business’s brand name, value proposition or industry/service. It’s time to find a toll free service that provides you with the affordable, reliable, flexible service. That’s where UniTel Voice comes in again. Whether you are a one-person team or a large company, UniTel Voice has the virtual phone system features you need to stay connected and sound professional. We’re confident we have what you’re looking for. More features. More Minutes. Better pricing. Better support. See why over 20,000 small business have chosen UniTel Voice as their business phone service provider by trying our 30-day risk-free trial today!